Magnum Steel Buildings is experienced in all aspects of aviation storage unit construction through our extensive building of airport hangers, from large T-hangars to hangars with living quarters. 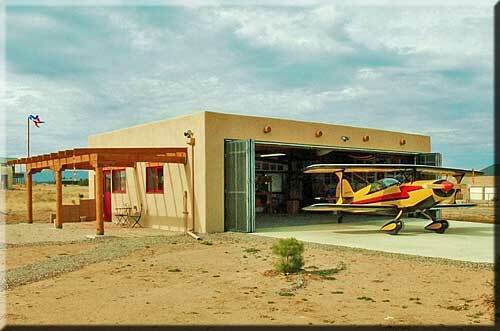 Magnum has built hangars at airports throughout New Mexico. We can design units with a number of options including stack doors, bi folding doors, electronics, and plumbing. From the simplest to the most elaborate; Magnum Steel Building Inc. is the best choice for your aviation storage needs!